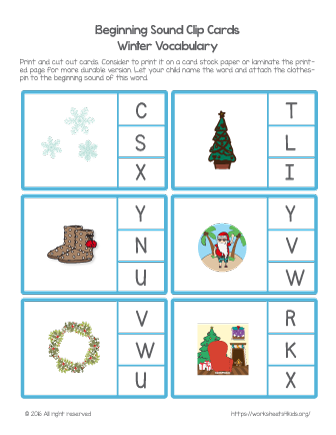 Great activity for your kindergartener to practice phonics skills this winter. Winter words in this set: snowflake, tree, ugg boots, vacation, wreath, and Xmas. Have your child identify the beginning sound of each word and clip the clothespin to the corresponding letter.